On May 28, 1971, a 17-year-old black youth, Alexander (Sandy) Seale, was stabbed to death in a park in Sydney, N.S. 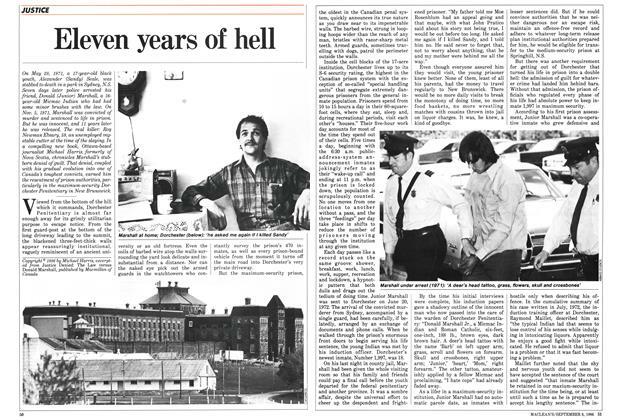 Seven days later police arrested his friend, Donald (Junior) Marshall, a 16year-old Micmac Indian who had had some minor brushes with the law. 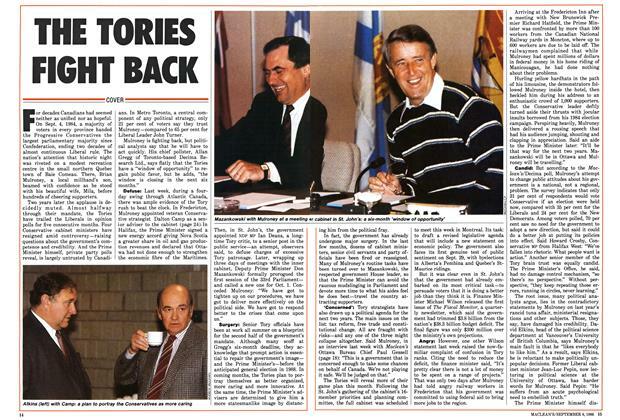 For decades Canadians had seemed neither as unified nor as hopeful. 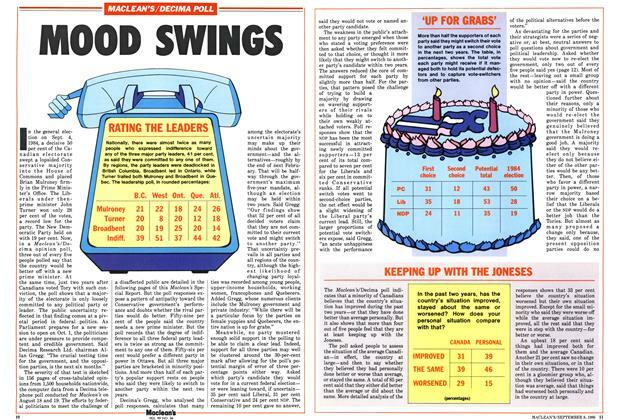 On Sept. 4, 1984, a majority of voters in every province handed the Progressive Conservatives the largest parliamentary majority since Confederation, ending two decades of almost continuous Liberal rule. At a three-day meeting with his top cabinet ministers in St. John's last week, Prime Minister Brian Mulroney continued to draft policies aimed at improving his Conservative government's fortunes in the second half of its mandate. 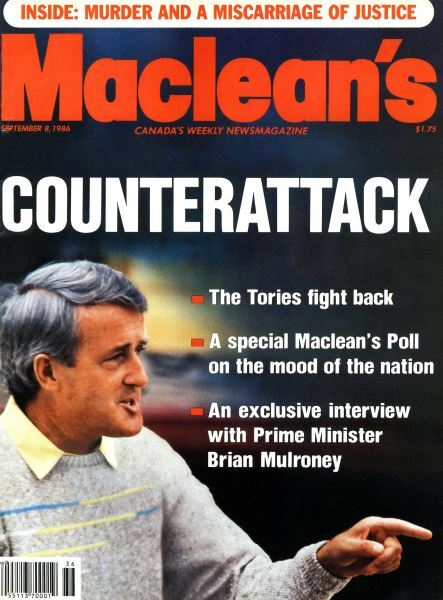 Before Mulroney returned to the capital, Maclean’s Ottawa Bureau Chief Paul Gessell interviewed the Prime Minister.